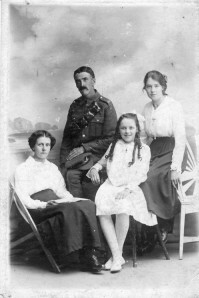 In the photograph above, George is in the uniform of the Royal Artillery and the photograph is dated 1916 when he came home on leave. George survived the war and lived well into his 80's. In November 1914 he was serving in Egypt. Information kindly provided by Steve Young.